If you could ask your dog the one thing they wished before you headed out the door to work in the morning, what do you think he/she would answer? Probably your dog would ask for you to never leave at all (or take them with you when you do)! They would wish you could spend a day together out in the Great Outdoors, playing fetch or other games, and enjoying all the benefits that nature has to offer. When your dog is left alone, he can sometimes indulge in behavior that includes chewing furniture, ‘doing his needs’ indoors, and barking loudly, which can lead to complaints from neighbors. In this post, we discuss a few useful strategies for dealing with these behaviors. If you occasionally arrive home and find that your pet has unrolled the toilet paper, chewed on a sandal or stolen a snack meant for someone else, it could just be boredom. To keep your pet entertained while you are away, you could consider getting him a companion, playing him some dog-friendly music, or obtaining a gadget that allows you to ‘call your dog on the phone’ and have a pet chat. You can also satisfy your dog’s chewing instincts with top quality chewing toys, which will not break off into sharp pieces or pose a choking risk while you are away. Sometimes, however, the cause of behavioral problems lies much deeper. Your dog might have separation anxiety, which will usually be accompanied by other symptoms, including chewing and digging, frequent urination at home, destructive behavior,howling, etc. In this case, hiring an expert dog whisperer will be very useful, since they can enlighten you on your dogs unique viewpoints, feelings and thoughts. 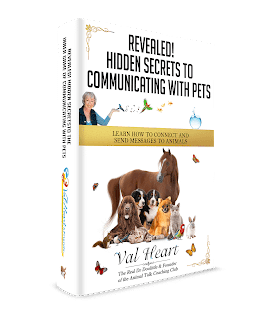 They could offer healing techniques by eliciting what is occurring with your pet at a deep energetic level that includes mental, physical and emotional aspects. Veterinarians sometimes recommend medication for severe cases of separation anxiety, though there are additional and often more effective ways to deal with separation anxiety, annoying barking and other negative doggie behaviors. “Practice makes perfect” for kids and for pets too. Sometimes, we expect our dogs to naturally take to potty training, or to quickly learn to refrain from barking when someone is at the door, or jumping up on people instead of greeting them calmly. Without teaching them exactly what to do and what not to do in these situations, you cannot expect them to just know what the human rules, boundaries and limitations are much less respond properly. Training should start with the basics, including sitting, laying down and staying. Dogs who perfect this, for instance, can be told to stay when someone comes in the door. Humans can also work to prevent barking when the doorbell rings, with commands, clickers and treats, just as we would do to teach our dog to sit or roll over. Good training can take days, weeks, or months, but patience, communication and consistency are key if we are to enable our dog to be his best self. Making training into games is fun for them and fun for you too. Sometimes, small problems can be fixed by tapping into the DYI buff in you. Take the problem of gnawed furniture. You don’t need to put away your favourite Victorian table; just make your own ‘dog friendly’ deterrent spray (made by mixing water, distilled white vinegar and orange or other citrus therapeutic-grade essential oils). You can also try moving things around; for instance, if your dog is particularly attracted to one item of furniture or tends to misbehave in one room of the house, is there any way you could section it off, perhaps with a temporary ‘dog barrier’ that can easily be removed when you get home? If your dog tends to tremble and get anxious when she hears loud noises or fireworks, have you tried swaddling her or using a thunder vest, which so many pet owners have found useful? Dogs are like people; they all have their own personalities and most have behaviors that need a little work. As their best friend, it is your duty to find the least invasive, most loving, and most creative ways you can to deal with behaviors that are often not really problematic, but rather, instinctive or based on common fears or even boredom. Whenever you feel lazy or uninspired, just think of the many amazing things your dog brings to your life. Are they worth spending a bit of time helping them feel happy, well-behaved, healthy and loved? Yes, they are. Are You Serious About Improving Your Pet’s Health, Behavior, Happiness and Well Being? Bad pets acting out, peeing, chewing, destroying your things, barking, making your life miserable? Aggressive pets, making you feel scared, frustrated and out of control? Sick pets keeping you up at night fearful, worried and anxious? Is your relationship with your pet on the rocks? Don’t panic. Even if your pet is completely out of control or sick or in pain, there’s a lot you can do to turn things around. In working with me, not only will you have a customized plan to save your relationship, you’ll know what to do every day to enjoy a happy, healthy, well behaved pet you can take pride and pleasure in! Feel the love? Let’s get started! The Bad Pet Breakthrough Intervention, Transformation & Rehabilitation Programs will change your and your pet’s life for the better! Would you like some help solving your bad pet problem? Click Here and Apply for a Complimentary Pet Problem Solving Strategy Session!